G.P. Putnam's Sons Books for Young Readers, 9781524740009, 336pp. You're a Fallow of the Orchard. You're as tough as a green apple in summer . . . When word of Only's ability makes its way to the King, she's plucked from her home at the orchard and brought to the castle at Bellskeep. There she learns that the kingdom is plagued by traitors, and that her task is to help the King distinguish between friend and foe. But being able to see lies doesn't necessarily mean that others aren't able to disguise their dishonesty with cunnings of their own. In the duplicitous, power-hungry court, the truth is Only's greatest weapon . . . and her greatest weakness. Melinda Beatty has had years of practice trying to explain to others why she was just having an imaginary conversation between two people that don't exist, so becoming a writer seemed like the best way to stop everyone looking at her funny. After years of narrowboat living on the English canals, she and her British husband are now back on dry land in Maryland where by day, she's a mild-mannered Indie bookseller, and by night, she wrangles words, craft projects, a Labrador and two fierce mini-women. 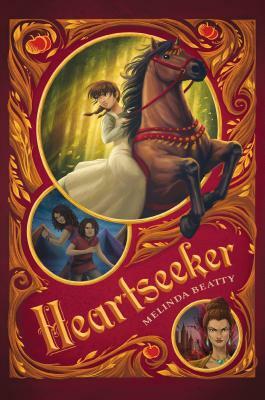 Heartseeker is her debut novel.